Don’t Mess With Texas. East Texas, That Is. It’s been hot around Seattle – 80 degree days for weeks now. We have adapted quickly and now everyone is throwing BBQ’s as much as possible. This is of course a perfect excuse to continue making the sauces and rubs out of The Work and eating them. And so I have. 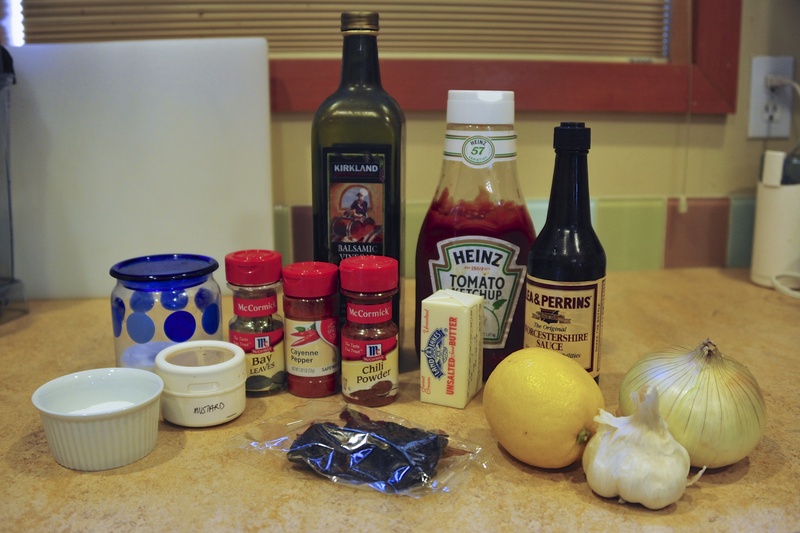 The East Texas sauce is differentiated by having onions and garlic in it, along with the kick of ancho chili paste. 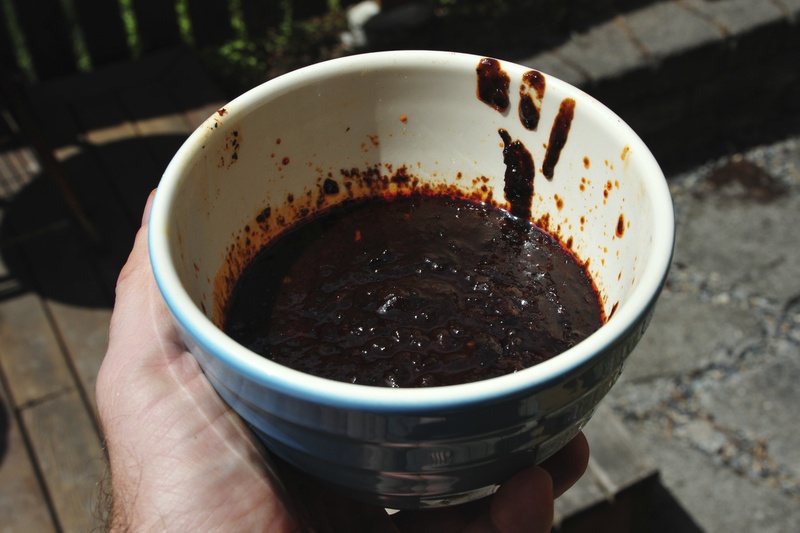 I couldn’t find any paste, but I did find ancho chilis, so I made the paste myself. 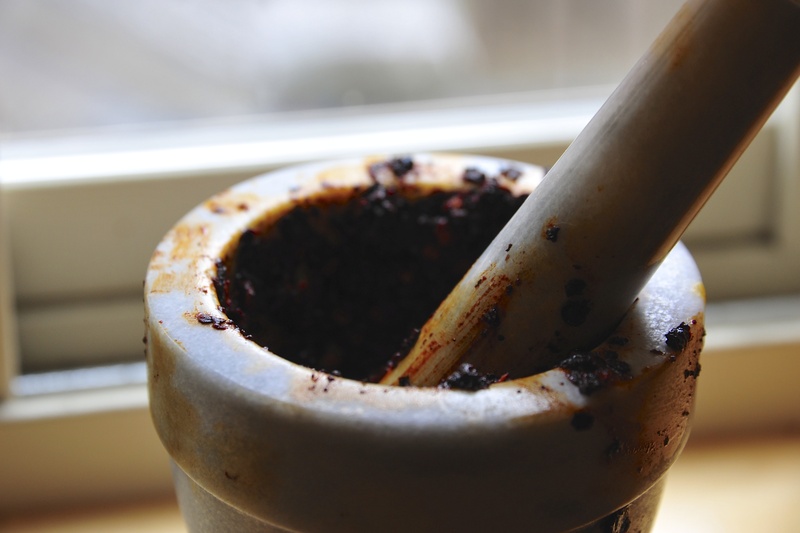 After frying them in oil, I gave them a quick spin with water in the Vitamix, then went old school and finished it up with my mortar and pestle. I ended up with about 25g, short of the 40g the recipe recommends, but it had quite the kick and was good enough for me. 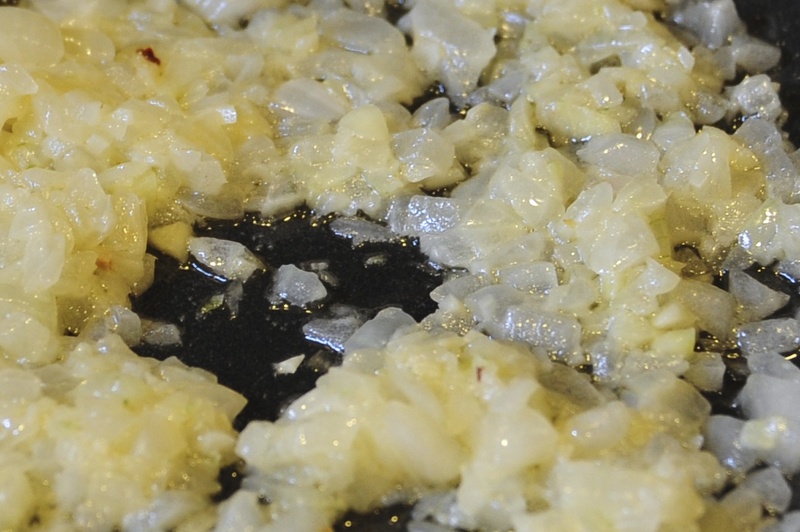 Next up was to saute some onions in garlic in butter, then do the usual: dump everything in a pot and reduce. I ended up with a rich dark sauce that meant business. 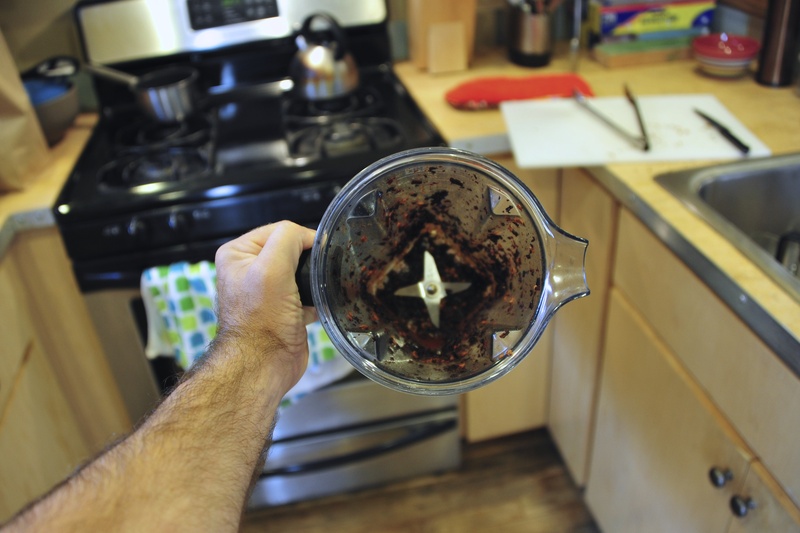 It was a little chunky from the onions and chili paste, so I decided to whip it through the Vitamix to make it smooth and creamy. 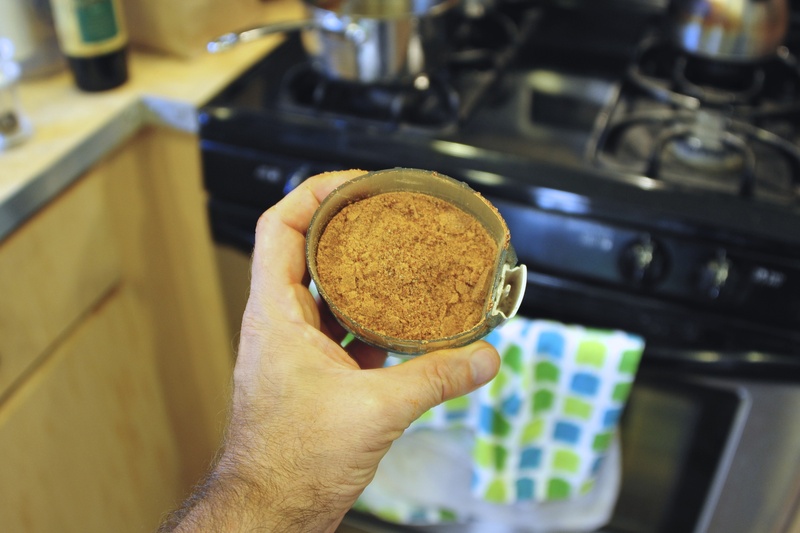 Making rubs is even easier than making the sauces: mix ingredients, put in grinder, done. If I can handle Caneton Rouennais à la Presse, I can handle this. 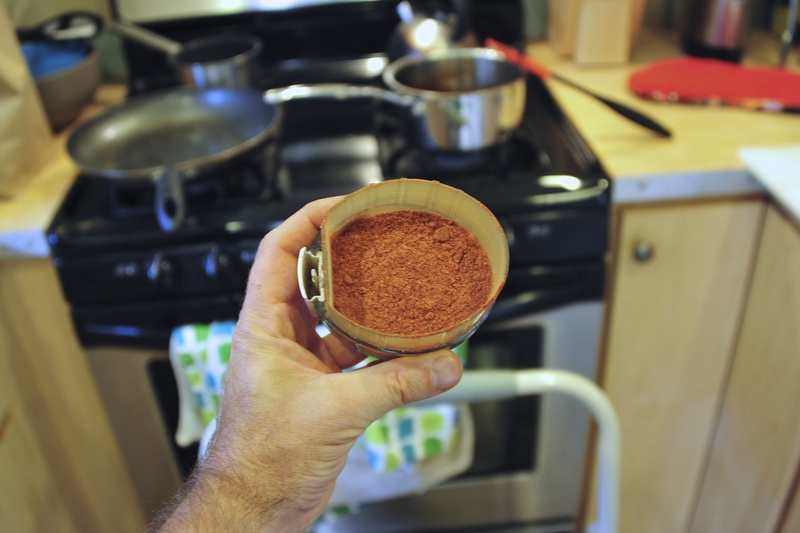 The Memphis rub is paprika based, with both sweet Hungarian paprika and plain ol’ sweet paprika, along with salt pepper, and garlic, onion and chili powders. 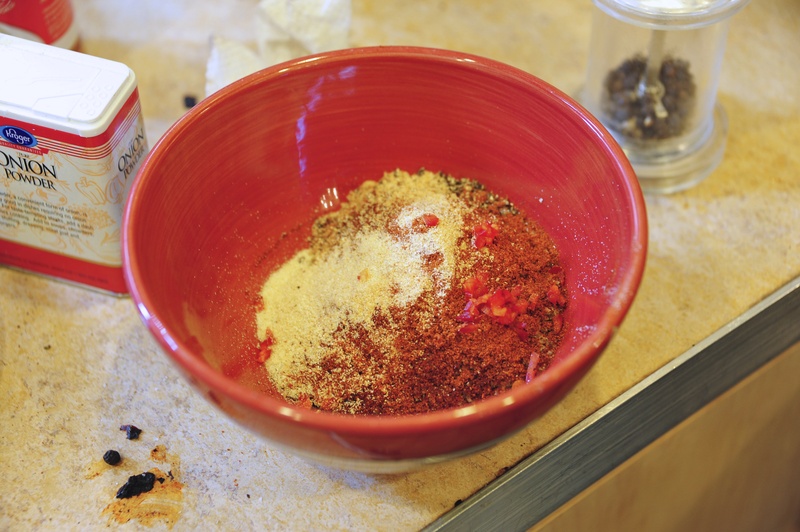 The Kansas rub is brown sugar based, with the addition of fresh minced red chili in it, along with salt, pepper, garlic, onion and chili powders, and paprika. 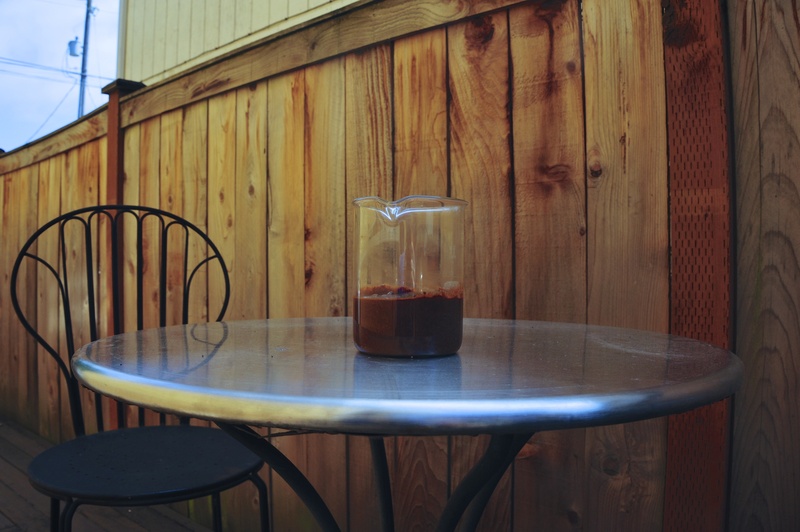 I tell you, these sauces and rubs are making me a star at BBQs. People love these – as they should. They’re delicious. 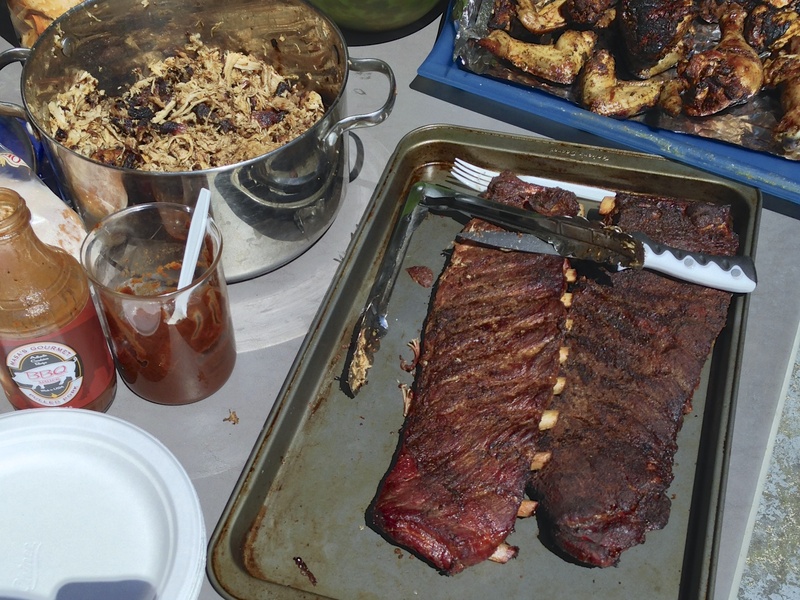 Keep the sunny days comin’, I got more BBQ to eat.